CarGurus has 2,113 nationwide C-Max listings starting at $3,500. Ford already has a strong lineup of fuel-efficient vehicles, including the Fusion Hybrid, Escape Hybrid and the Focus Electric. The Detroit automaker ups the ante in the fall of 2012 with the debut of the 2013 C-MAX Hybrid and C-MAX Energi 4-passenger 4-door hatchbacks. 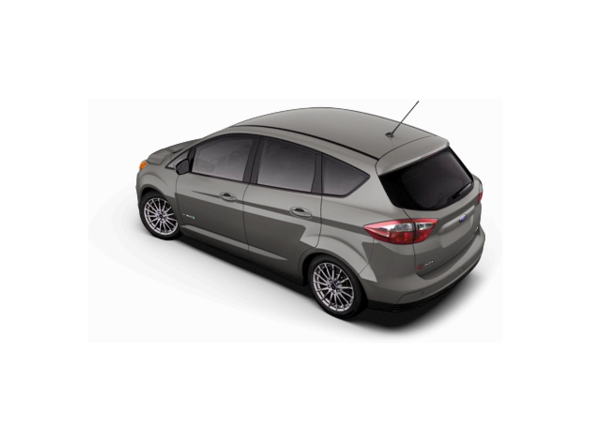 The 2013 Ford C-MAX is available in three front-wheel-drive trim levels: SE Hybrid, SEL Hybrid and SEL Energi. All trims are powered by a 2.0-liter hybrid electric powertrain. The C-MAX uses an Atkinson 4-cylinder 16-valve DOHC gas engine combined with a high-voltage lithium-ion battery-powered electric motor, which makes 141 hp and 129 lb-ft of torque and has a driving range of approximately 500 miles. All trims are also equipped with a 2-speed electronically controlled variable transmission with overdrive and a regenerative braking system. 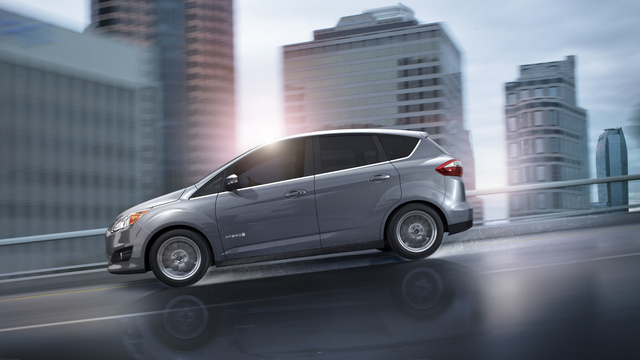 The early estimates for fuel mileage put the C-MAX trims at 47 mpg city/44 highway. The plug-in hybrid C-MAX Energi is expected to have an all-electric range of 20 miles and is estimated to have a miles per gallon gasoline equivalent of 95. As far as standard features go, all 2013 Ford C-MAX trims, starting with the base SE Hybrid trim, come equipped with dual-zone electric automatic temperature control, 4-way manual seats, cloth seating surfaces, a leather-wrapped steering wheel, power door locks, power windows, power mirrors with integrated signal lights, AM/FM radio with single CD player and MP3 capability, rear spoiler and 17-inch machined aluminum wheels. 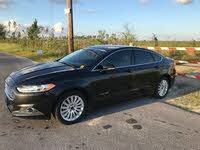 Upgrading to the SEL Hybrid or SEL Energi trims adds 10-way power driver’s seat, heated front seats, leather seating surfaces, heated exterior mirrors, front fog lights and an auto-dimming rear mirror. Other upgradeable options include push-button start, a power liftgate, panoramic sunroof, hard-drive navigation and a rear-view camera. Numerous safety and security features can be found on the 2013 Ford C-MAX, including driver's and passenger front and side airbags, front and second-row air curtains, driver’s knee airbag, 4-wheel antilock braking system with emergency brake assist, electronic traction and stability control, and antitheft engine immobilizer. The 2013 Ford C-MAX will be produced at Ford’s Wayne Assembly Plant in Michigan, with the regular hybrid trims being available early in the fall of 2012 and the C-MAX Energi becoming available in late fall. What's your take on the 2013 Ford C-Max? andy8leon I love mine. Went from a 9mpg F250 to 40+for my C Max!!! Users ranked 2013 Ford C-Max against other cars which they drove/owned. Each ranking was based on 9 categories. Here is the summary of top rankings. Have you driven a 2013 Ford C-Max? Where Are The Ads For The Ford C-Max? This little icon just appeared; no reason I can discern. I've never seen it before. I just had the car services (oil change, etc.) this weekend, if that matters. What Does SEL Mean In A 2013 Ford C-Max SEL Hybrid?